New Delhi, April 9: India all-rounder Hardik Pandya has deposed before the Board of Control for Cricket in India (BCCI) ombudsman and ethics officer D.K. Jain in Mumbai in connection with his controversial comments in a chat show. India opener K.L. Rahul is expected to depose on Wednesday morning. While Pandya is a part of Mumbai Indians in the ongoing Indian Premier League (IPL), Rahul is plying his trade for Kings XI Punjab and the two teams are set to face each other at the Wankhede Stadium on Wednesday. Speaking to IANS, a senior board functionary said the ombudsman is expected to submit his report to the Supreme Court-appointed Committee of Administrators (CoA) before the national selectors sit for the selection of the Indian team for the 2019 World Cup. "While there is no timeline as such, but we are hopeful the ombudsman will submit his report on the duo before M.S.K Prasad and his team sits for the selection meeting in Mumbai on Monday. Nobody can read the mind of another individual, but the punishment cannot be bigger than the crime. Let's see what the ombudsman's report says about the two," the functionary said. 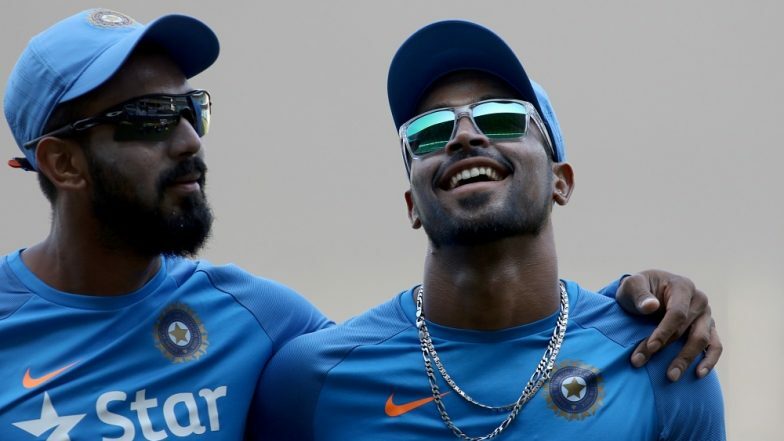 BCCI Wants Hardik Pandya-KL Rahul Chapter to End With ICC World Cup 2019 in Mind.